For craft distilleries trying to get a piece of the American whiskey boom, there’s a massive challenge right from the start. To produce whiskey, you need a huge amount of capital to build a distillery, and even more to invest in a significant amount of spirit that must age for 3-6 years. Even the most green of MBA students could tell you that keeping a large inventory of product you can’t sell isn’t the foundation of a successful business. Some craft distillers have tried to circumvent this daunting reality by releasing alternative products that don’t require aging, including craft gin, vodka and unaged whiskey (also referred to as white dog). Another common and unfortunate avenue some craft distillers take is to push the aging process using tiny oak barrels which give the spirit a lot of color and oak in a short amount of time. Many of these rushed whiskeys lack any depth of flavor or complexity and are plagued by unseasoned oak notes which aren’t typically imparted when you age a whiskey properly in a full-sized barrel. 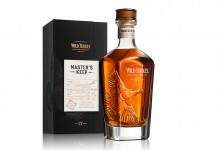 Hillrock Estate Distillery, under the masterful direction of Dave Pickerell, former head distiller of Maker’s Mark, has come at the fundamental issue of craft distilling from a unique perspective. Recognizing the limitations of whiskey aged in smaller barrels, Pickerell turned to the Solera system of aging. Solera aging is quite common in the sherry world and is sometimes used with rum (most notably Rum Zacapa). 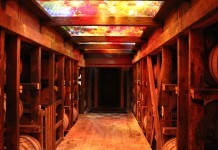 The process of Solera aging involves a pyramid of barrels with the youngest spirit on top and the oldest on the bottom. As portions of the oldest spirit are pulled from the bottom, it’s refilled from the spirit from the next level up with the top tier getting filled with new make spirit. The process sounds complicated, but it’s really just a way of blending older spirit with young and giving them time to co-mingle in the barrel. Since Hillrock Estate Distillery doesn’t have stock of older whiskey for the bottom of the system, they turned to the open market and acquired older whiskey. This older whiskey was blended with spirit produced at Hillrock in a Solera system and was then finished in 20 year old Oloroso Sherry casks. Hillrock Estate Distillery Solera Aged Bourbon (46.3% ABV / 92.6 Proof, $80) – light amber in color, the Hillrock whiskey has picked up a small amount of the color from its time in the Oloroso sherry casks while still maintaining the golden luster of a younger whiskey. The nose on the Hillrock Estate Bourbon is slightly spicy with cinnamon, oak, and rye spice. This spice is balanced with an undercurrent of caramel and a slight nuttiness. 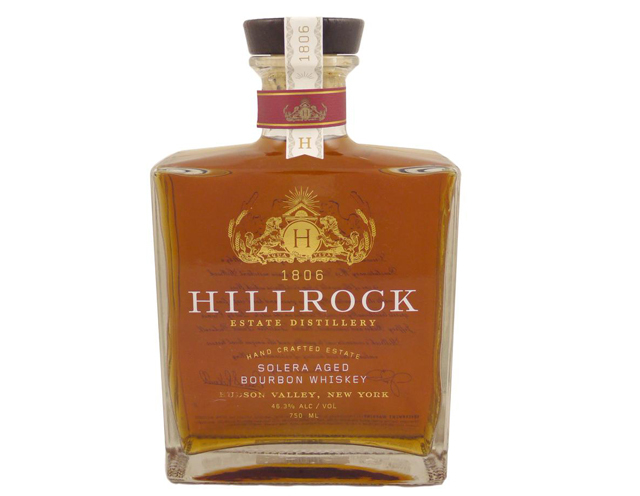 The entry of Hillrock Estate Bourbon is slightly sweet with the caramel from the nose, which was an undertone there, jumping out to become a lead flavor note on the palate. This sweetness quickly subsides and drops back to a supporting note reading more like brown sugar than caramel. In the midpalate, Hillrock Bourbon recaptures much of the spice from the nose with rye spice, cinnamon, and oak. There’s also a subtle fruity note in the core of this spice from the Oloroso sherry which reads like faint blackberry, as well as a slight nuttiness. It’s towards the end of the midpalate where the young whiskey in the mix shows itself with noticeable heat. This young whiskey drives the finish which starts off nice with vanilla and spice but then quickly turns too dry with the flavors evaporating from the palate. Hillrock’s Bourbon has a fairly nice and balanced mouthfeel, until the end of the midpalate where it’s just a little too hot, and on the finish where it skirts with being unpleasantly dry. One of the things that Hillrock managed to do was avoid many of the significant issues that can arise when using small barrels in the mix. 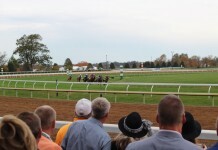 The Hillrock Bourbon isn’t over oaked and doesn’t have any unseasoned oak notes in the mix. The presentation of the rye spice is also well managed but ultimately there’s just no getting around the young spirit in the mix. Hillrock Estates took a bit of a risk with the Solera system; it’s not something that’s commonly used for American Whiskey, and for the most part it works. The only part of the equation which is unavoidable is the young spirit. In many ways it’s like baking a cake from scratch and then using frosting from a can to frost it – no matter how good that base cake is, the frosting will always bring it down a notch. Hillrock’s underlining spirit seems to be sound, and it’s well mixed with merchant whiskey and well finished in Oloroso Sherry, but there’s just no substitute for time. At $80 a bottle, this whiskey is much more of an expensive peek into the capabilities of a promising distillery than an outstanding product in its own right.